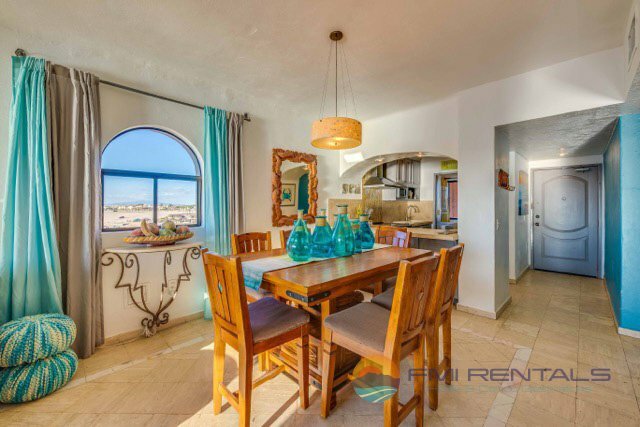 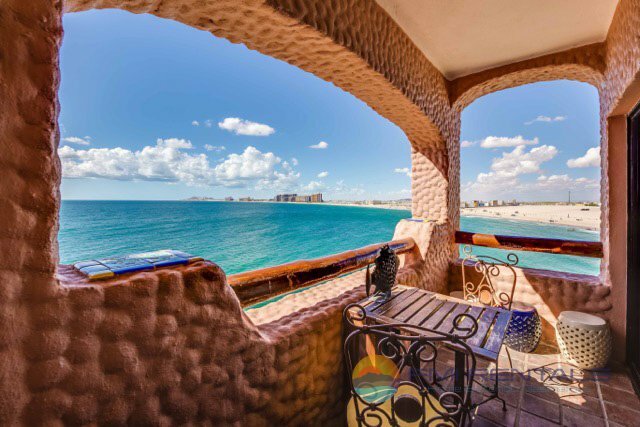 Vacation rentals in Rocky Point have grown in quality and diversity as the city itself has grown as a vacation destination. 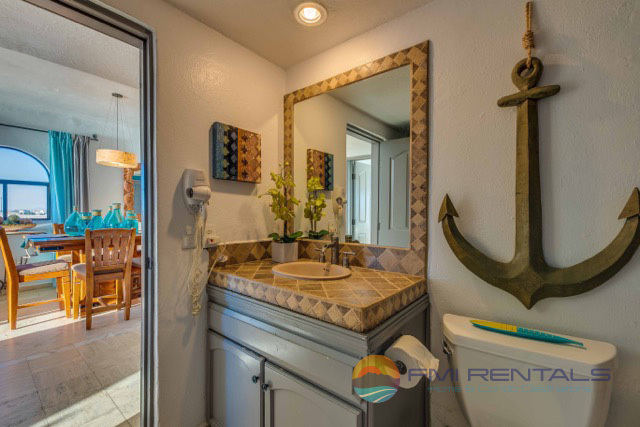 You can really see the quality of accommodations when you look to the Marina Picante as an example. 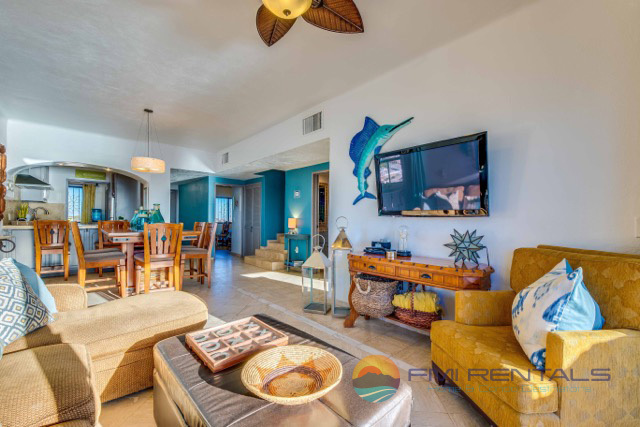 This complex of condos offers an incredible blend of comforts and easy access to the city and beaches that surround. 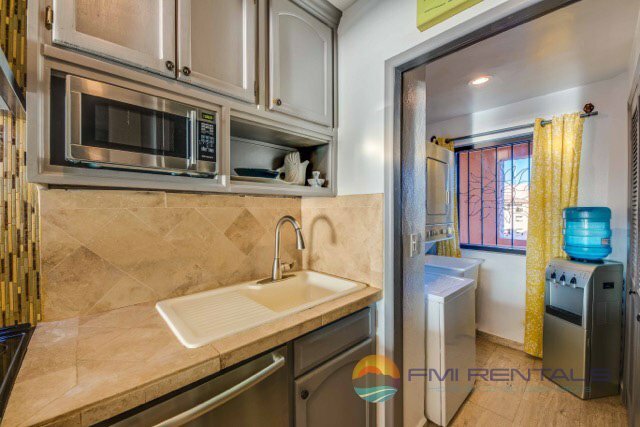 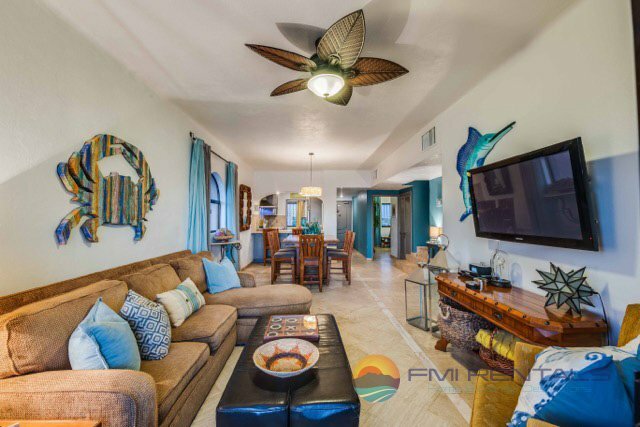 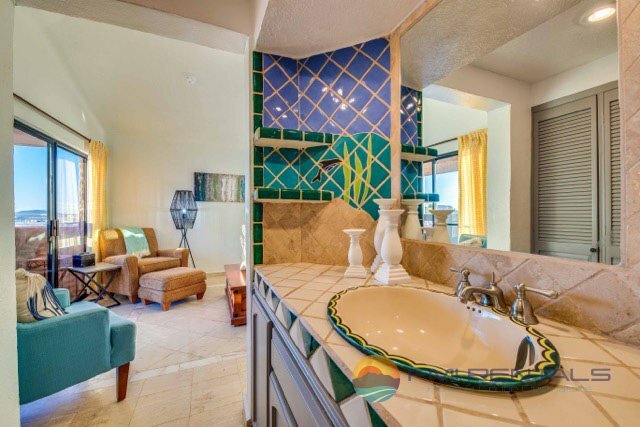 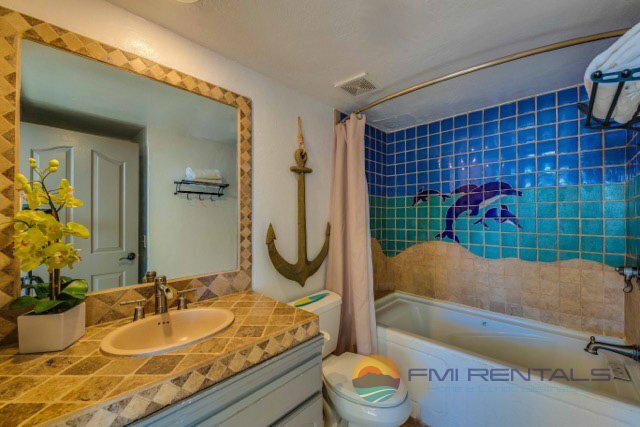 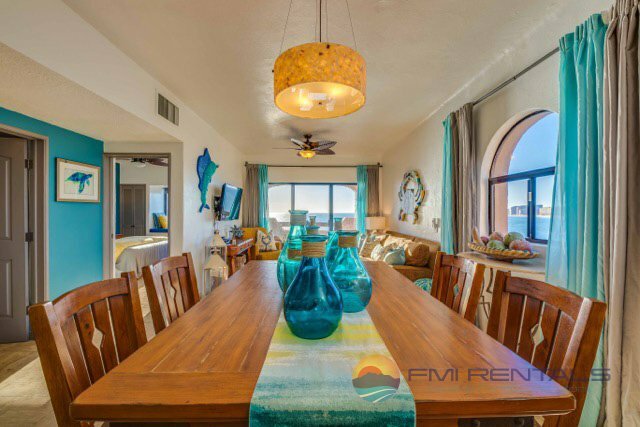 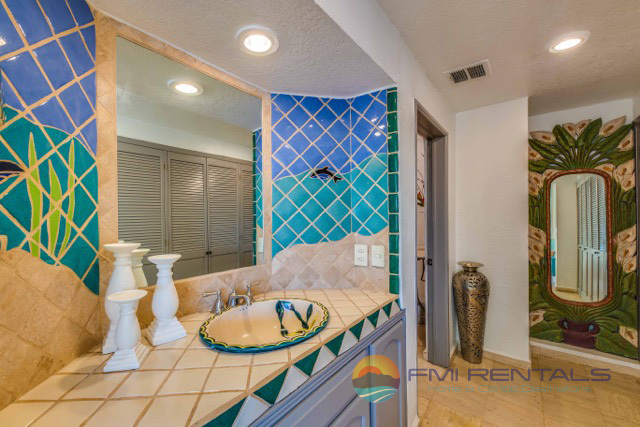 Unit C-501 is perhaps one of the most luxurious options for Rocky Point vacation homes throughout the entire Marina Picante community. 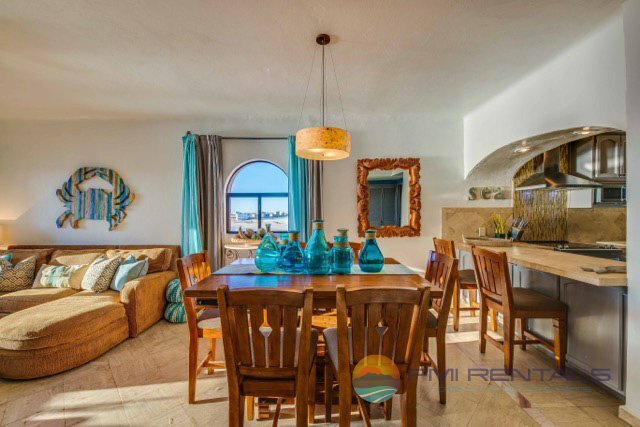 This wonderful property is laid out over 2 floors, with 3 bedrooms and 2 bathrooms. 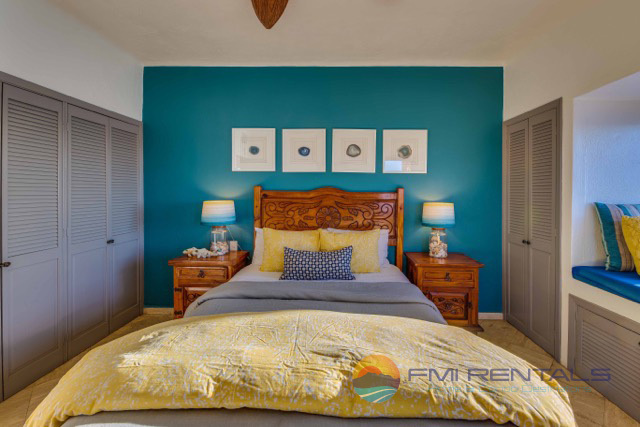 You will sleep like a king throughout any of the bedrooms. 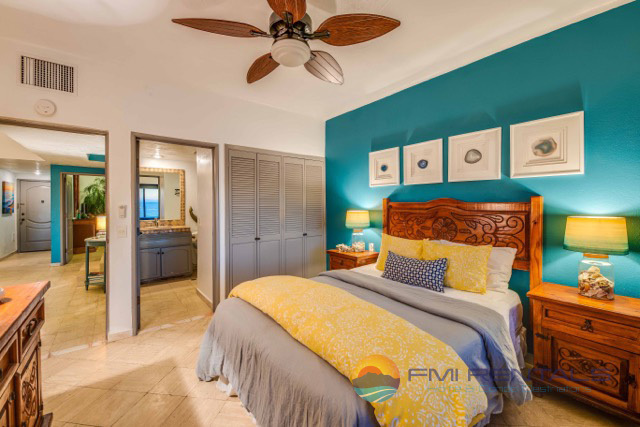 The master suite is complete with a king sized bed and corresponding private bathroom. 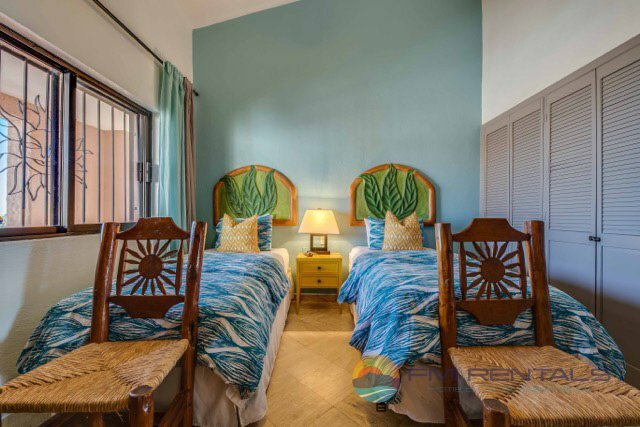 The first guest room comes with a cozy queen sized bed, while the final guest room features 2 twin bunk beds. 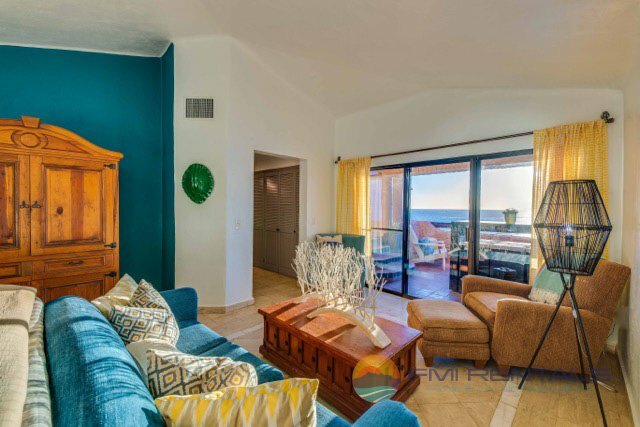 The extent and quality of these rooms make this condo perfect for a family getaway. 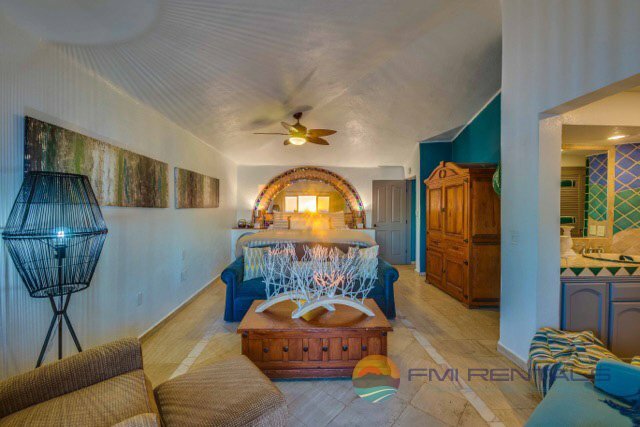 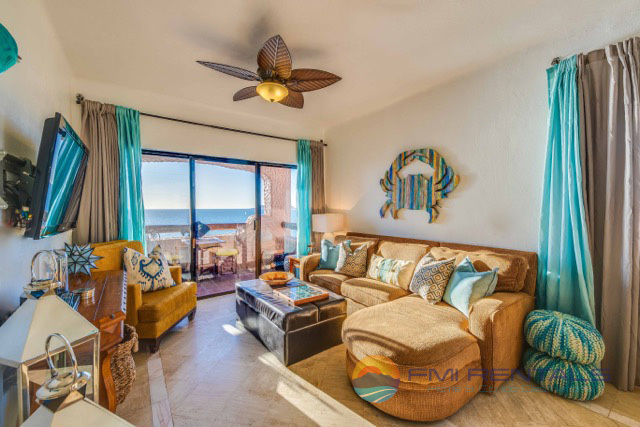 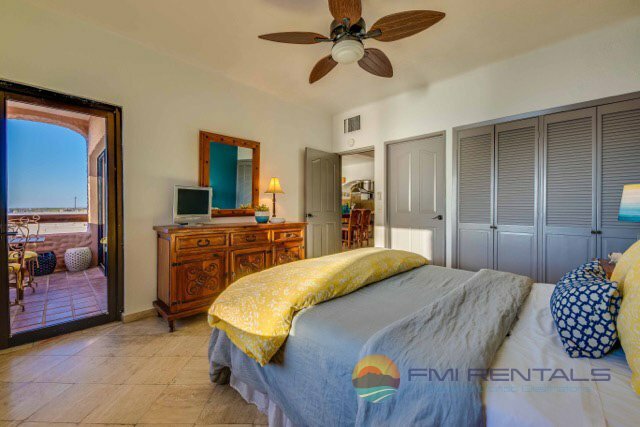 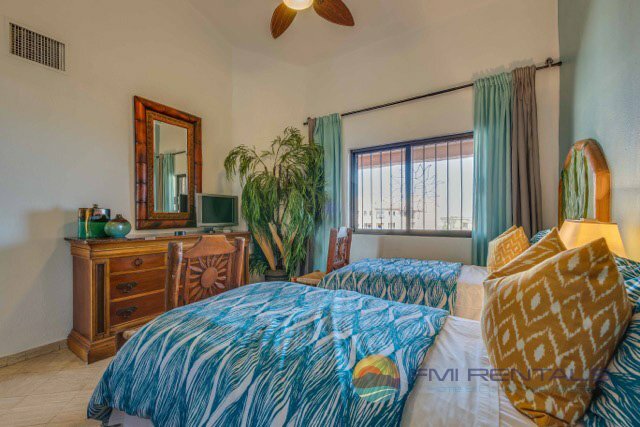 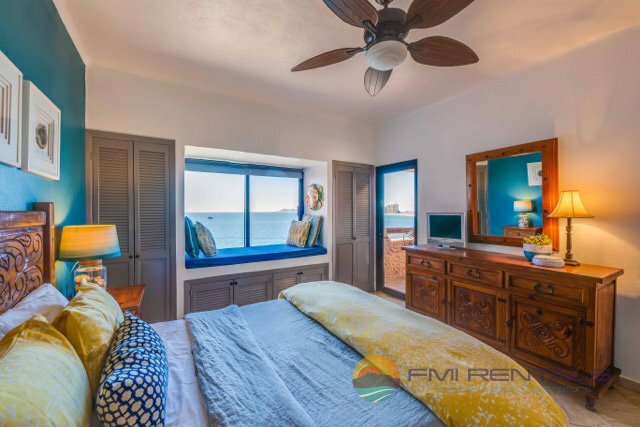 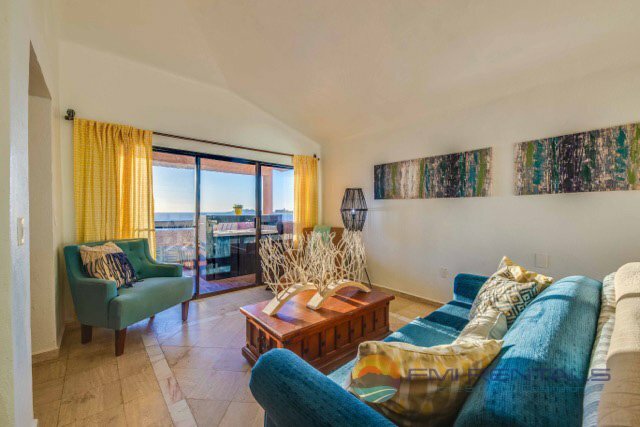 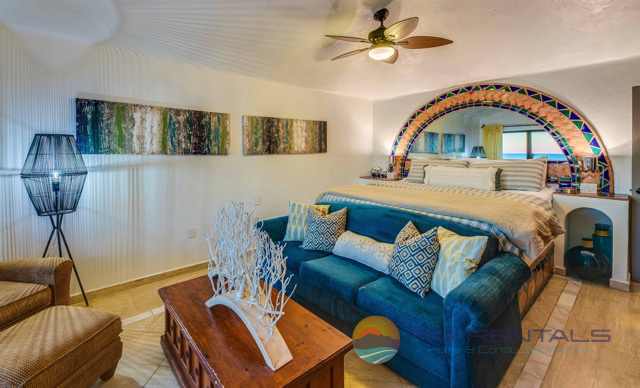 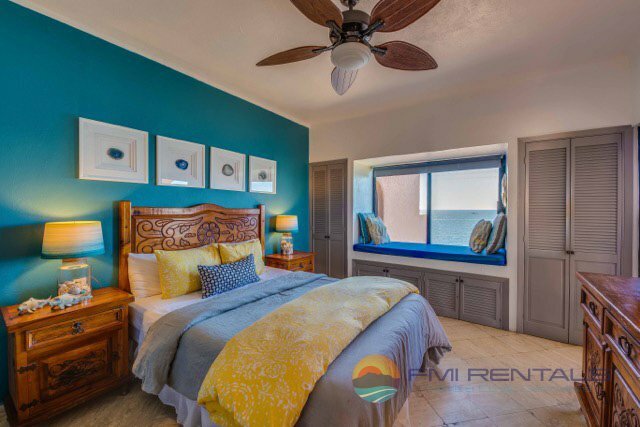 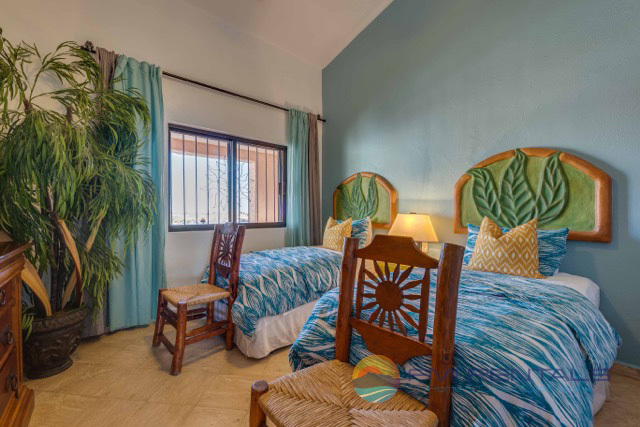 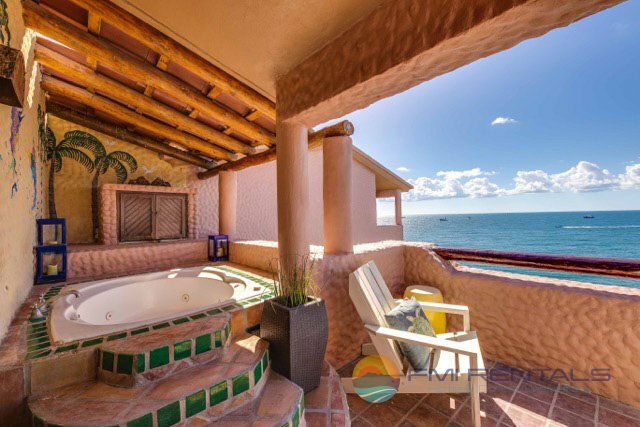 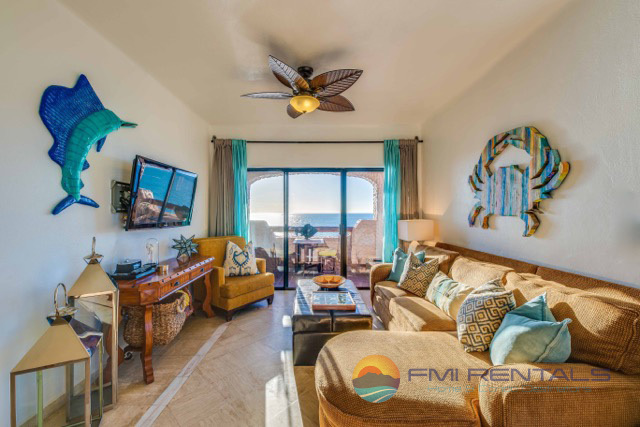 When you are not enjoying the restful environments of the bedrooms, you can enjoy the relaxing comforts of the living room, including the plush furniture, a large flat screen, and unbeatable view of the Sea of Cortez. 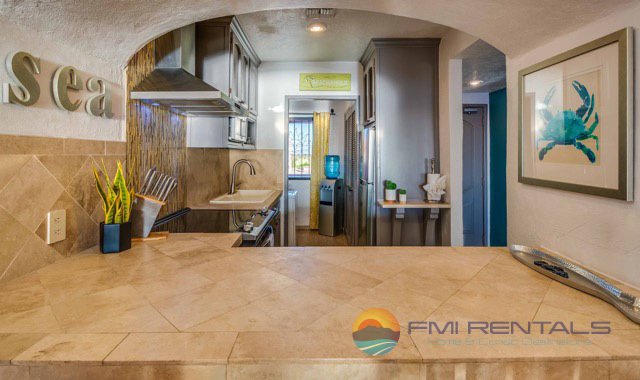 Next to this room, you will find the dining room and the kitchen just beyond. 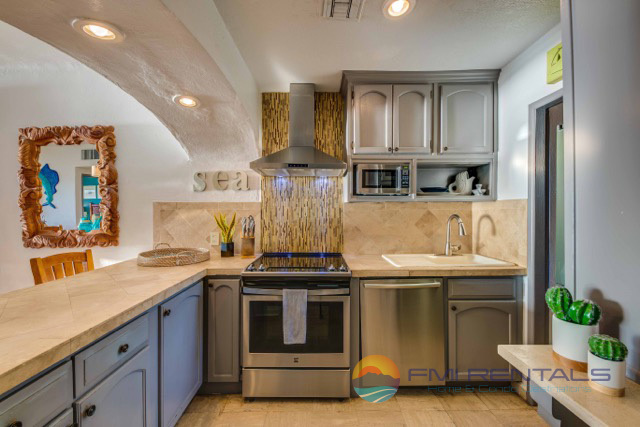 The kitchen is a very spacious room, affording you all of the space and appliances you need to cook up delicious meals as you do at home. 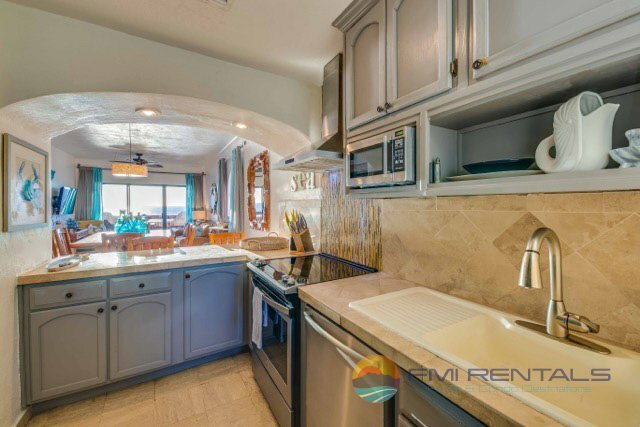 These fine cooking accommodations are found among finely tiled countertops and splashguards, wonderful cabinetry and a stainless steel theme. 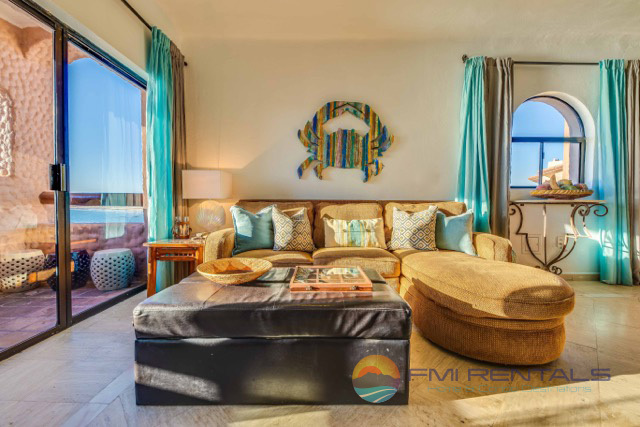 All of these tremendous comforts are offered with the charming energy and décor of a cozy beach house. 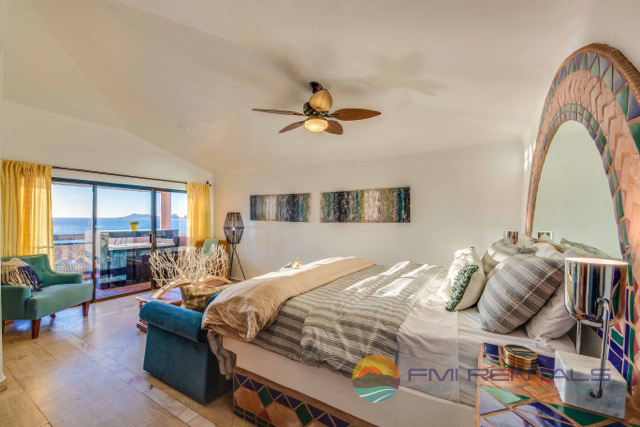 As this property sits on the fifth floor of this community, the views that you will experience from the balcony are some of the best that you will find throughout the entire area. 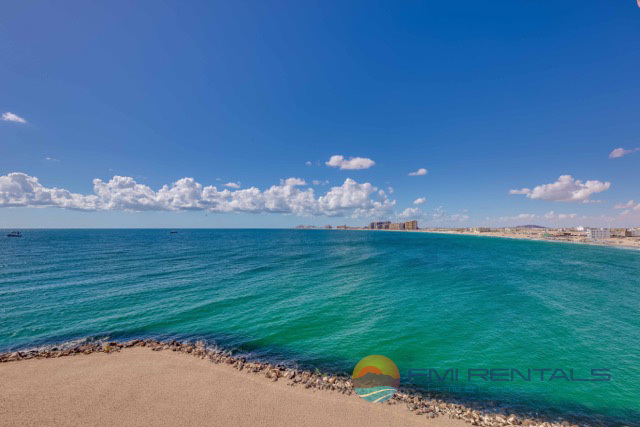 This is especially true of your view of the Sea of Cortez and much of the coastline that surrounds. 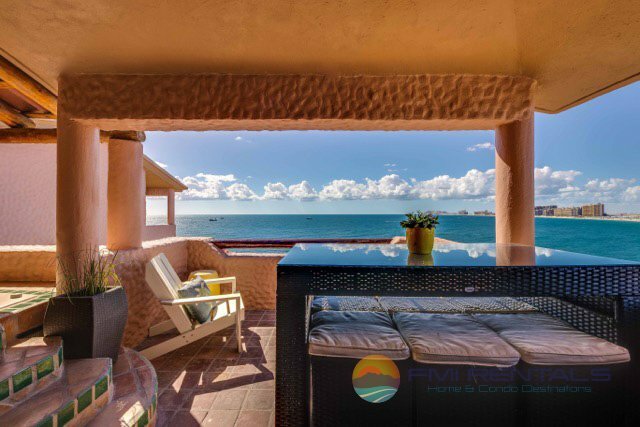 Your personal balcony is the perfect place for you to enjoy this view, whether you want to sit in your private Jacuzzi or among the cozy patio furniture. 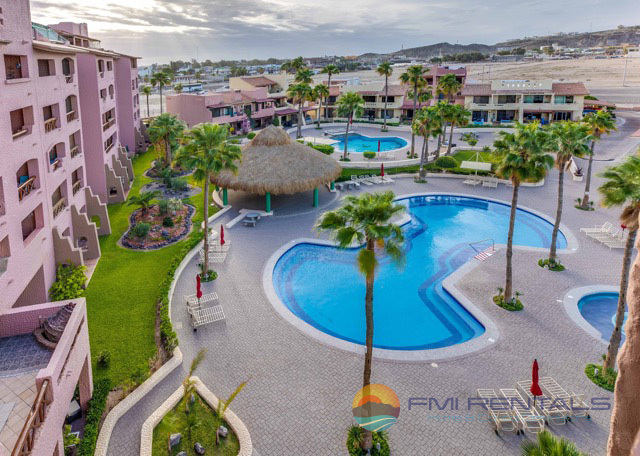 The units amazing location also gives you the opportunity to explore much of what has made Rocky Point famous with just a quick walk. 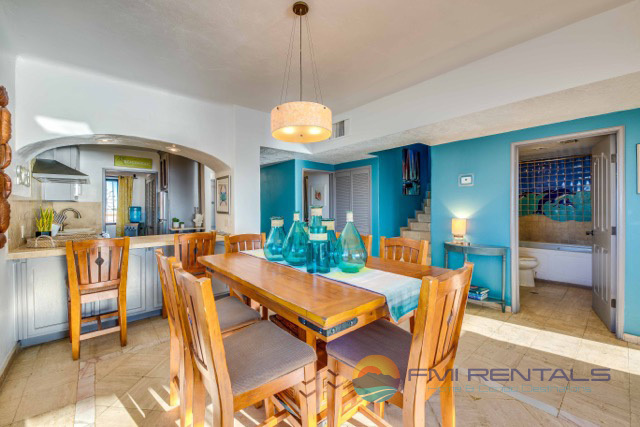 This includes but is not limited to the endless eateries, fishing opportunities and tremendous nightlife of the port area. 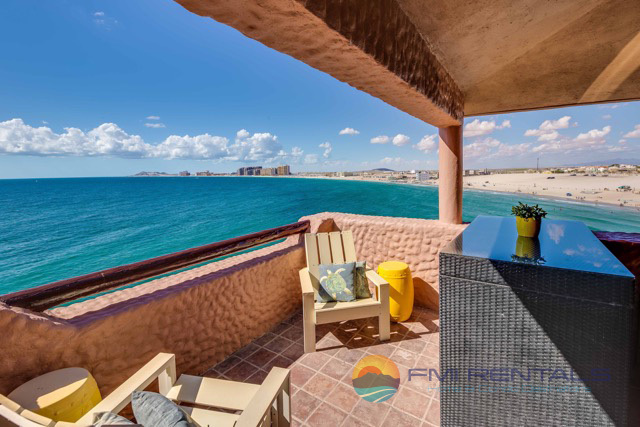 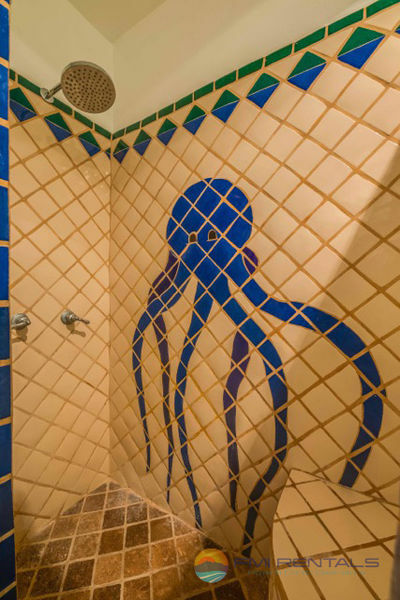 You can be sure that access like this is not offered with any other Rocky Point vacation rentals.